Fits 1967 to 1974 Camaro, 1964 to 1974 Chevelle, Malibu and El Camino, 1968 to 1974 Chevy II and Nova, 1970 to 1974 Monte Carlo, with a 265 to 400 cubic inch displacement small block V8 engine, Long tube headers, Not Emissions Legal. 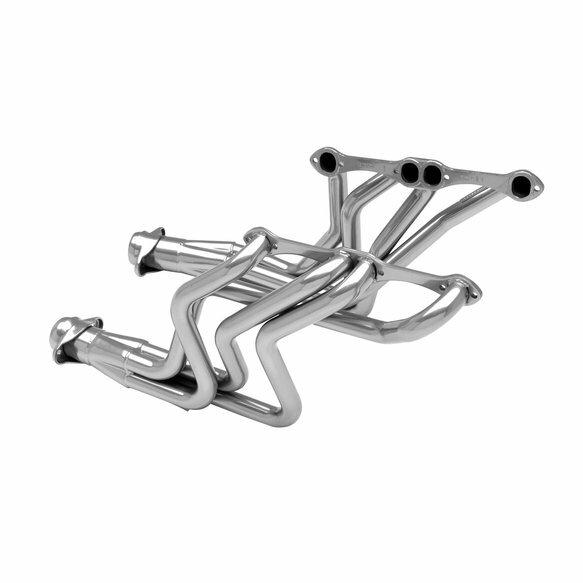 Flowmaster's Scavenger Series Elite long tube headers are designed to replace the restrictive factory cast iron manifolds. These high quality headers are manufactured from stainless steel and are ceramic coated for maximum durability. They feature 1-5/8 in. primary tubes, 3/8 in. thick flanges and incorporate Flowmaster's popular 3 in. ball flange collector connections ensuring a leak free installation. 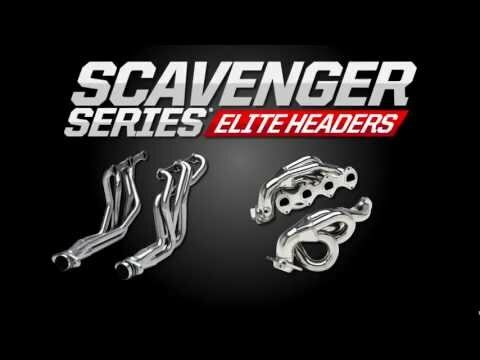 Scavenger Series Elite long tube headers deliver maximum performance and are suited to the enthusiast who wants the best. Like all Flowmaster® products the benefits include improved throttle response, power and engine efficiency. Designed for an easy fit these headers include gaskets and necessary hardware for easy installation. Fits D port cylinder heads including ZZ4 crate engines. Does not fit 1967 to 1969 Camaro's with air conditioning. Will fit most angle plug heads including factory Chevrolet bow tie heads. Requires removal or modification of locking steering columns if equipped. Installation requires new left side air conditioning bracket. This product is legal only for off highway use except in California or states that have adopted California emission standards, racing use or for use on pre emission controlled motor vehicles and motor vehicle engines and pre 1966 domestic vehicles certified to California standards, pre 1968 domestic vehicles certified to federal standards and all pre 1968 foreign vehicles, per the application guide.